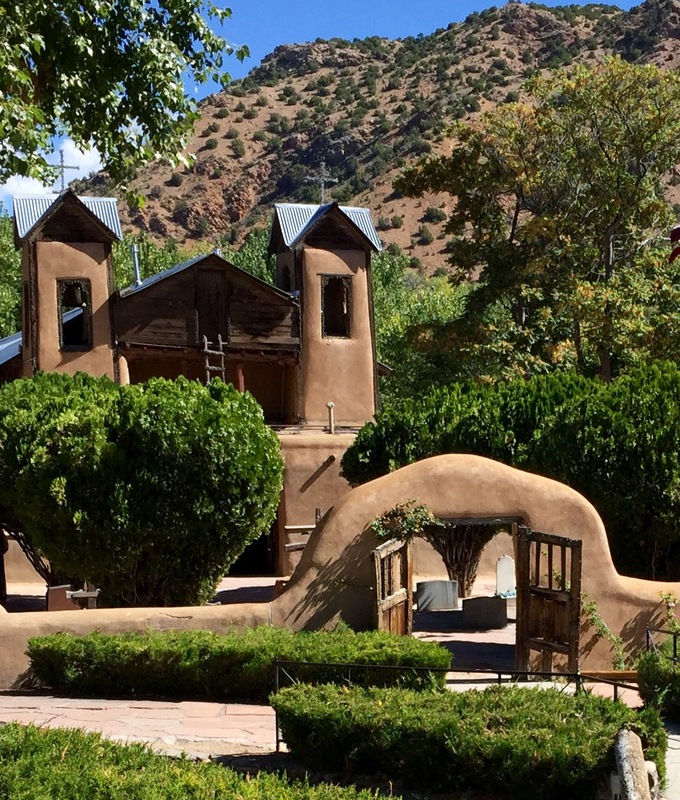 I have been to Santa Fe once and did visit this church–I have a little bit of dirt that was blessed–it was an inspirational visit! We have some ‘holy dirt’ too. Northwest New Mexico is beautiful also. Thank you for sharing these beautiful pictures. It seems a most spiritually renewing place. You are blessed to be able to go to these places and enjoy their peacefulness. How perfectly lovely everything is there, it’s a different world than the one most of us know. It must be so difficult to have to leave that all and come back home! Thank you for sharing these marvelous pictures! I wish I were there! I don’t think that my heathens would be welcomed there! They might be service dogs for convicts.